In this second tutorial, we’ll be creating a multi-indicator system based on the core methods we employed in Part 1. This upgraded project will include a custom dynamic link library, multiple indicator control, and user definable UI sprites. To complete this tutorial, you’ll require a basic understanding of Unity and Visual Studio workflow. 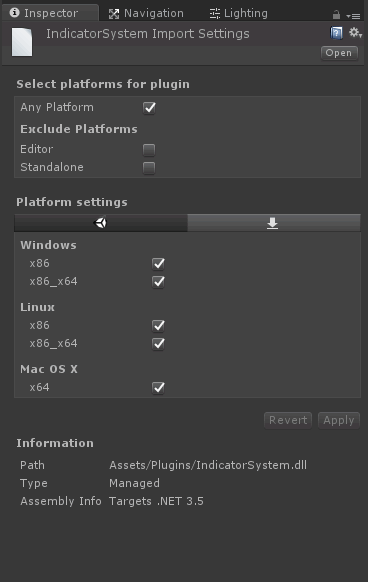 To avoid unnecessary repetition, the new asset package contains a preconfigured scene and several additional components. You can download the assets here . Unzip the package, making a note of the location. The components are released under the ‘Creative Commons 0’ license. You can close Unity as we’ll be switching to Visual Studio to create the dynamic link library. You can think of dynamic link libraries as portable containers for functions, instructions and resources. 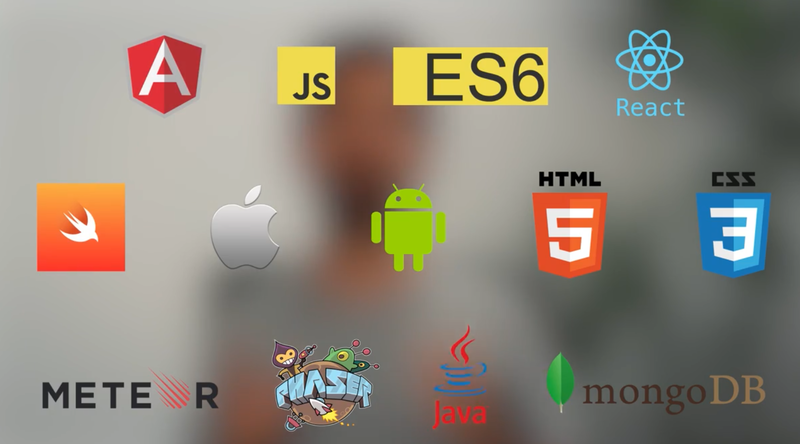 Aside from their inherent ease of deployment, they offer several additional advantages when compared to static link libraries. We’ll be using Visual Studio to create our DLL. 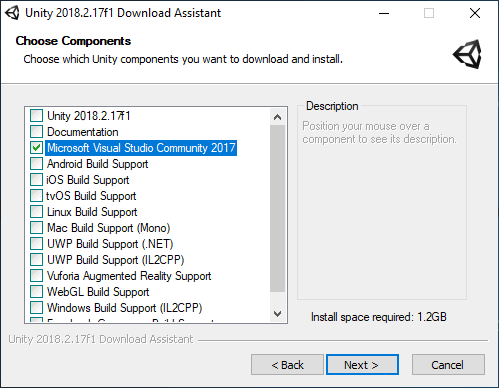 If it’s not present on your computer, you can install it via the Unity installer list. 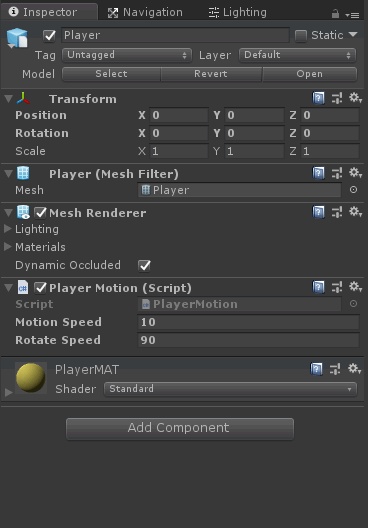 To ensure compatibility with earlier Unity releases, we’ll be using a NET Framework class. 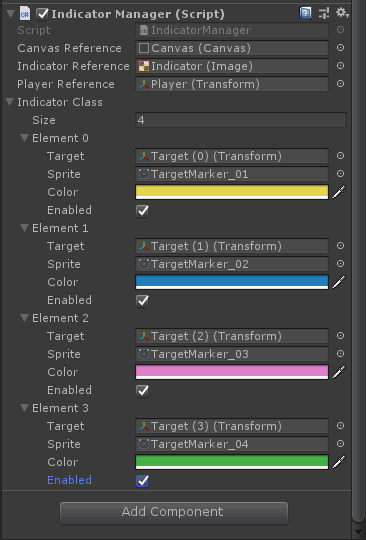 The ‘Indicator’ library script handles the on screen UI indicators by tracking the position of the player object in relation to each target position. Canvas point conversion is handled by the ‘UpdatePosition’ function which also updates each target’s enabled status and UI position. If you receive an error message, compare your code with the original script, amend as necessary and repeat the build process. But all being well, you’ve successfully created the dynamic link library. The dynamic link library you’ve created will be the core of the Unity project so it should be imported before we create scripts which rely on the custom functions. The project requires scripts for the camera, player and indicator manager. All scripts include descriptive comments. The target manager script references the ‘IndicatorSystem.dll’ and serializes the user configuration inspector pane. We need to add references to the the target manager script. The indicator system will not operate if it encounters a null reference. 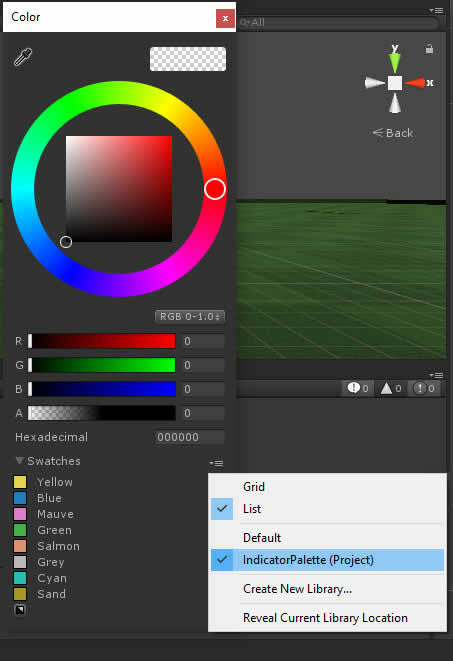 The ‘Assets / Editor’ contains an ‘IndicatorPalette’ component which contains a selection of example colors for use with the UI sprites. Having made it through this final tutorial, you’ll be pleased to know that we’re now ready to test the project! If the 4 objective indicators are visible and the distance information is valid, then you’ve succeeded. If there are no visible indicators, check the ‘Target Manager’ script references to ensure that they are correctly assigned. Once configured, the indicator system operates on an automatic basis, but you can set any indicator’s enabled status from script. Please refer to the ‘Target Manager’ script comments for full deployment information. So that’s it for now: we have now finished this project allowing you to create a fully portable multi-indicator system for use in your own creations. We upgraded it from the core methods employed last time, to include a custom dynamic link library, multiple indicator control, and user definable UI sprites. Hope you enjoyed this tutorial, found it helpful, and that it will prove useful for your games. Please feel free to share your thoughts in the comments down below – otherwise, until next time.